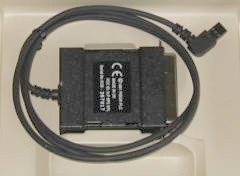 The Psion Parallel Printer Link is a Centronics compatible interface/cable that can be used with the Psion3 and Acorn PocketBook hand held computer. Uses a 6pin (3x2) connector at the computer end. It is not suitable for the Psion 3c, 5, Series 7 or netBook which uses a flat connector.